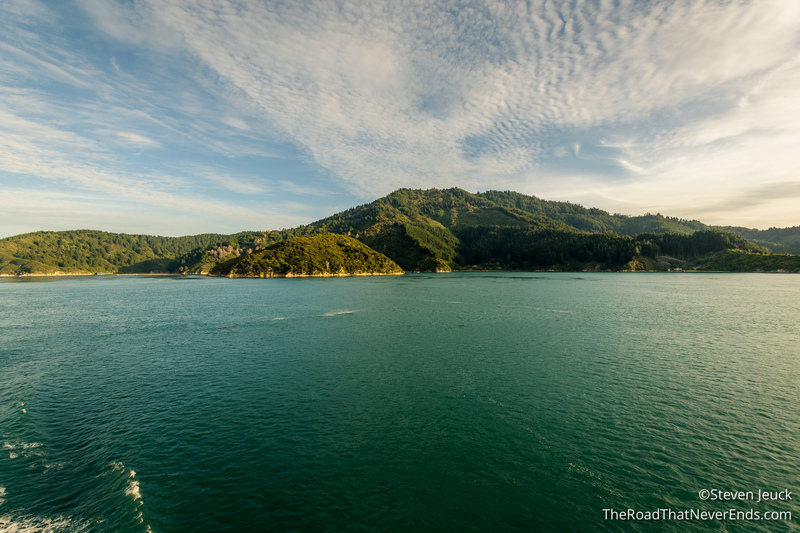 Our time on the North Island has come to an end, and we were excited to get to the South! We left our DOC camp early to make our way towards Wellington. We had booked a ferry ticket for our vehicle and us on the 17:35 ferry. The cost was $275 NZD for our van and the two of us (about $200 USD). We had a lot planned that day, so we got an early start. 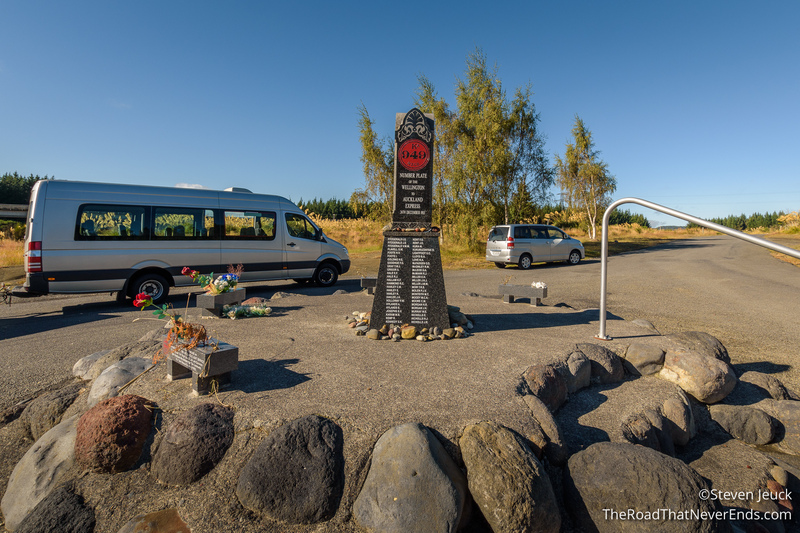 Our first stop was near camp at a Train wreck memorial, Tangiwai disaster. There was a memorial, as well as information about the worst train accident in New Zealand history. 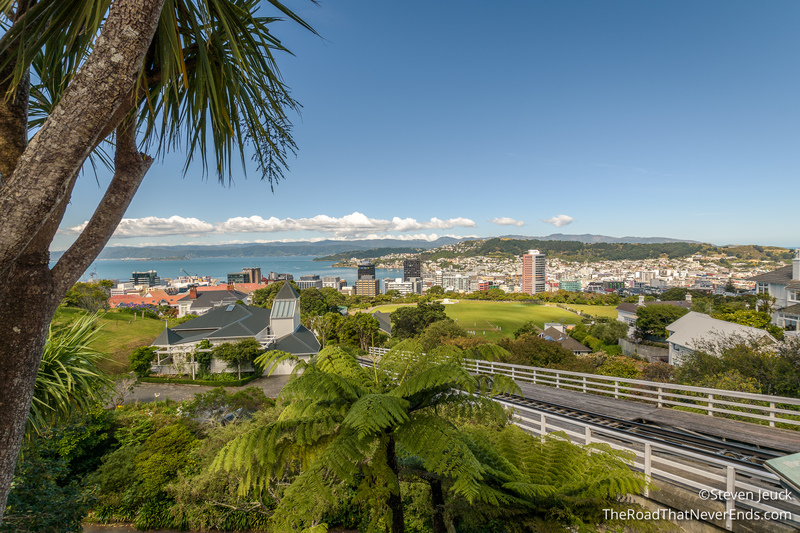 We made our way South, and got to Wellington around lunch time. 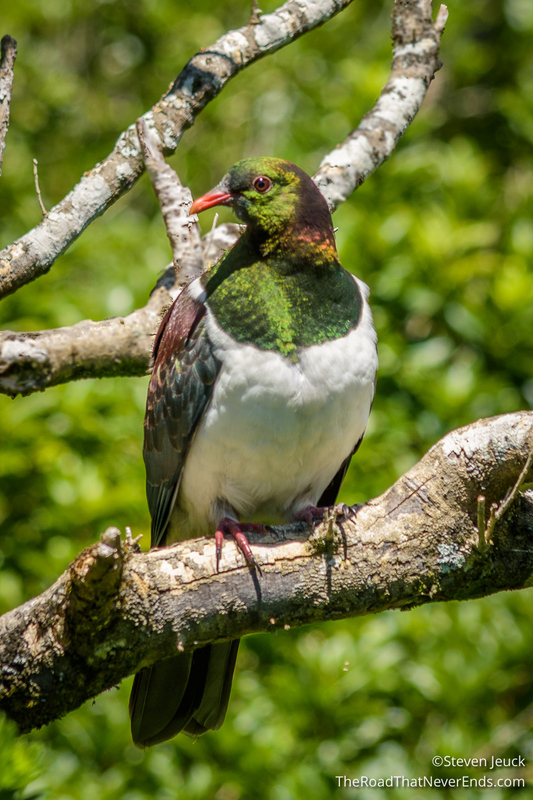 We had done some research and found a bird sanctuary in Wellington that looked amazing. Zealandia cost $18.50 NZD each (about $13.50 USD) and offered us a chance to see some local birds up close. I know what you are thinking – did you see Kiwi? No – they are nocturnal, and this sanctuary does not have a nocturnal house. Our only bet to see them was sleeping, and chances of that were pretty low. 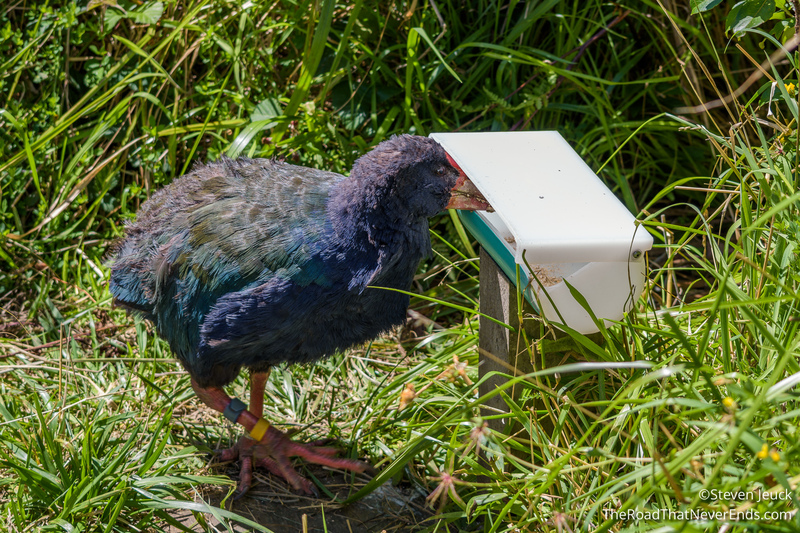 But don’t worry, because we saw tons of other birds, like Takahē, Kākā (parrots), and Kākāriki (parakeets). 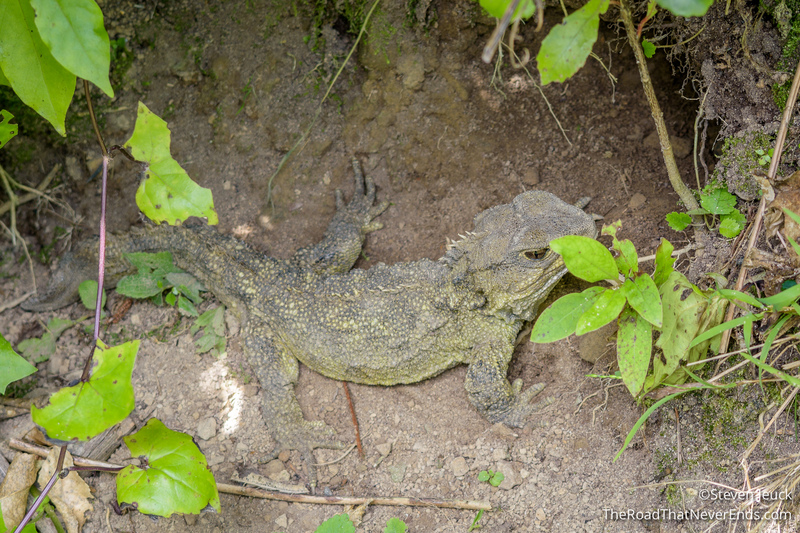 We also saw Tuatara. We spent 3 hours here, and loved it. We would recommend to our friends and family visiting the sanctuary to try and visit in the early morning – before the big crowds get there. 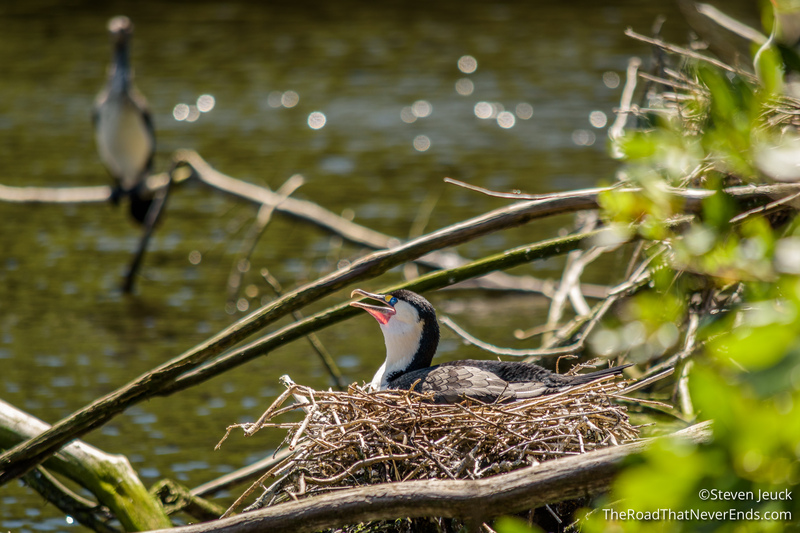 If you are a bird lover, you can easily spend all day here and not see every bird, especially as the crowds and sound level gets higher throughout the day. We drove around Wellington, doing some shopping and taking photos of the town. We really thought the city was clean, and had nice people. We drove to the docks to board our ferry. 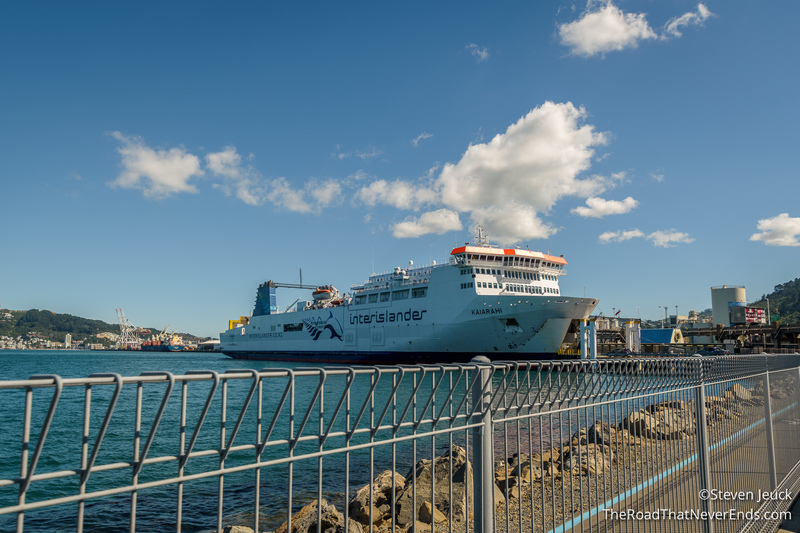 This ferry boat was much larger than any in South America, and our jaws hit the floor when we saw the line to board the boat. There must have been close to 500 vehicles. We didn’t think everyone would be able to get on. We waited about 30 minutes before we boarded the boat. We were ushered out of the car and into the passenger dining area. We found a seat for the two of us in the dining hall, and took out our books and laptop to entertain ourselves for four hours. We ended up eating dinner, Fish & Chips, which were actually pretty good. 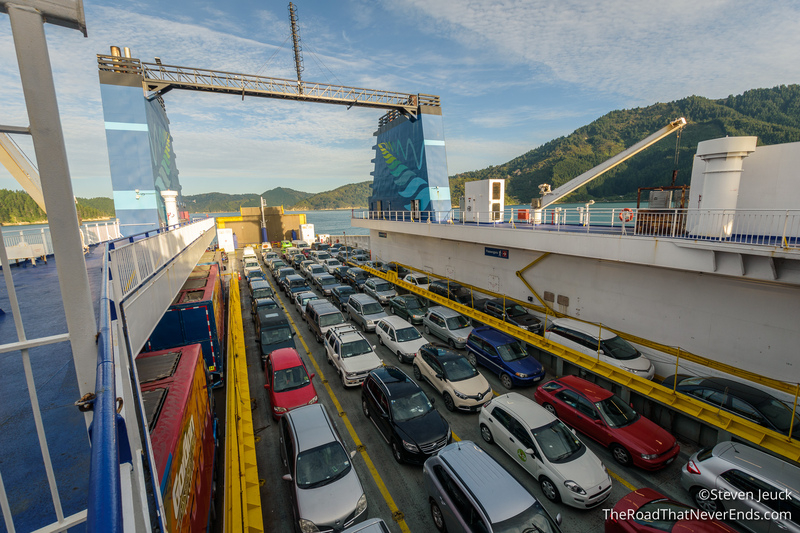 Once we got to the South Island, we waited in our car for the long procession out of the ferry. We didn’t wait long, and were on the road unsure of where we were going to camp that night. We made a game time decision in the car and took the right freeway headed to camp. We picked a site that listed it had 50+ spots. Although it was a little out of our direction, we thought it was best to pick one with more camp spots so we were guaranteed a night rather than risk finding a full campground. We arrived after 10PM, and were so exhausted, we passed out quickly. Stay tuned as we venture South!